But, just because scratching is natural and healthy for your cat doesn’t mean you have to choose between your cat and your interior décor. Here are 5 solutions that will mitigate your cat’s urge to shred your couch so you can live happily ever after together. Trimming your cat’s nails regularly (approximately every 2 weeks) will reduce her need to remove the dead outer layer of her claws. If possible, introduce your cat to the nail clippers and get her accustomed to her paws being handled at a young age. Here’s a guide that will help you safely and effectively trim your cat’s nails. If you aren’t comfortable trimming your cat’s nails yourself, call our office for help. Soft Paws are nail caps that blunt a cat’s claws so no damage occurs when she scratches. Developed by a veterinarian, the nail caps fit over the cat’s nails and are secured with a non-toxic adhesive. Soft Paws will stay on for about 4 to 6 weeks, eventually falling off as the cat’s nails grow. Soft Paws are well tolerated by most cats, but they should not be used on cats that go outside because the caps will impact an outdoor cat’s ability to defend herself. Providing your cat with a quality scratching post will help her forget all about your curtains. 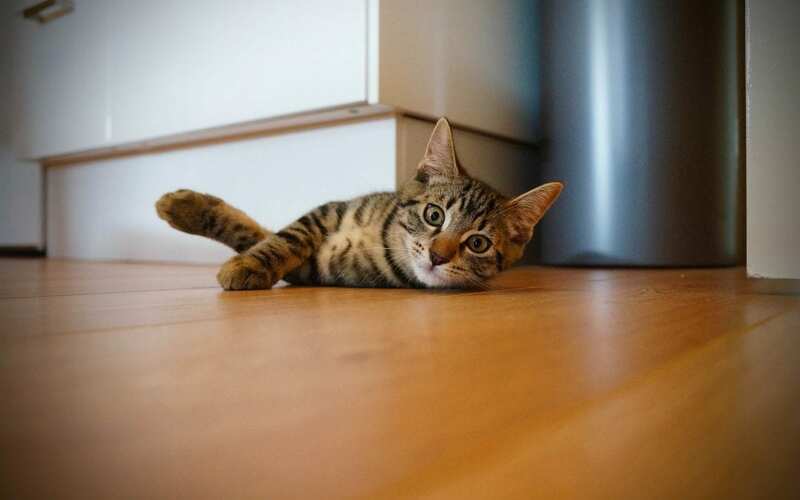 The post should be tall enough for your cat to stretch and extend, stable enough that it won’t fall over when your cat vigorously scratches it, and made of sisal fabric or rope. Scratching cats are marking their territory, so the location of your scratching post is important. If your cat seems to enjoy scratching your couch, place the post next to the couch. Feliway and Feliscratch are natural pheromone products that can help to encourage your cat to scratch appropriately (her scratching post) and discourage her from scratching inappropriately (your furniture). If your cat still prefers your favorite chair to her scratching post, apply a double-sided tape deterrent to the place where she’s scratching. If your cat is inappropriately scratching, call our office.